This conference aims to foster dialogue between developers and designers, bridge the gap between these two disciplines, and create a hub for experts to share their passion, knowledge, and ideas. 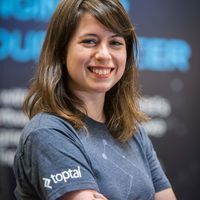 The event takes place on October 5th and will feature talks from two Toptal designers. At 10:45am during the Interface talk section, David Nuff will discuss the discomfort zone: from interfaces to installations. David will share how physical installation projects have made him a better digital designer, how design skills make for great art, and why he believes the best work happens outside comfort zones. At 1:45pm, Jenny Shen will present a talk titled Build bridges, not walls — design for users across cultures. Jenny share ways in which product designers should consider the full range of human diversity with the respect to languages, culture, and other forms of human difference.